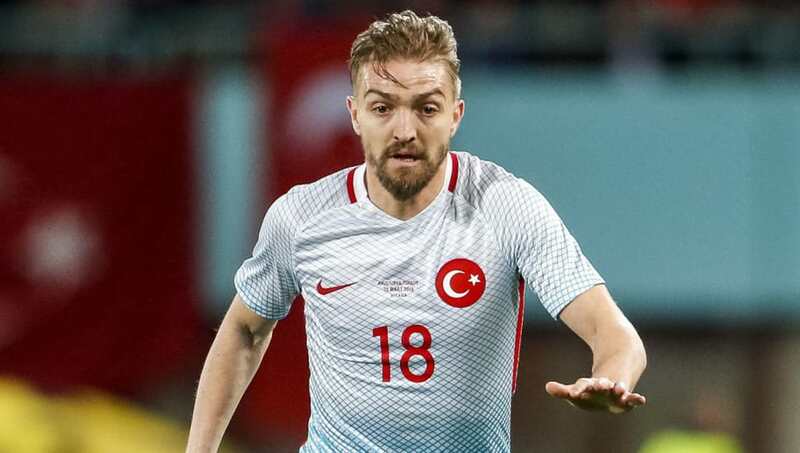 ​Inter have officially confirmed the signing of Turkish international full-back Caner Erkin who will join the Milan club on a free transfer from Fenerbahce when his contract expires at the end of this month. The three-year contract that Erkin has signed at the San Siro will kick on 1st July and keep him with the Nerazzurri until 2019. The 27-year-old defender, who will be representing Turkey at this summer's European Championships in France, had been linked to a number of different clubs over the last few months. However, it has apparent for a number of weeks that formal confirmation of a move to Inter would only be a matter of time. Originally from the Marmara region of Turkey, Erkin is no stranger to playing abroad. He spent three years with CSKA Moscow in Russia earlier in his career. He also played for Galatasaray on loan immediately before signing for Fenerbahce. Erkin has played 42 times for Turkey at senior international level, as well as 43 times at various junior levels. His arrival at Inter is likely to signal the end for Alex Telles, on loan from Galatasaray, with Yuto Nagatomo also having penned a new contract.